Rycote Chapel was built in the fifteenth century by Richard Quartermain and visited by most of the Tudor monarchs during their visits to the nearby Rycote Palace now long since demolished. The village of Rycote is mentioned in the Doomsday Book, but this too has long since vanished. Rycote is an Anglo Saxon name meaning a small group of dwellings in Rye fields. The palace was once an important royal residence, and King Henry VIII spent part of his honeymoon there with his fifth wife. The chapel now belongs to English Heritage and is well worth a visit. It has some interesting and ancient furnishings including carving almost certainly by Grinling Gibbons. 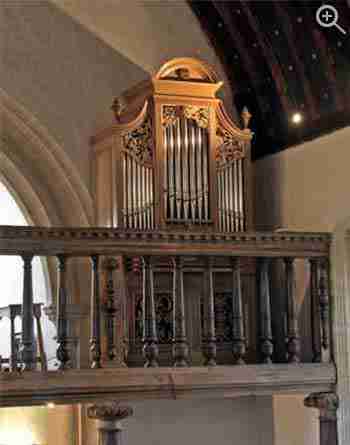 It is unlikely that Rycote Chapel has ever had an organ before. However, under the tower there is a musicians' gallery which is just large enough to take a small organ. Our task was to design an instrument which looks as if it might always have been part of the chapel. The design, whilst basically our own, was developed in detail together with Mr and Mrs Bernard Taylor, the present owners of the house which has been built around the outhouses of the now demolished Tudor palace. The case is finished in unstained waxed oak. 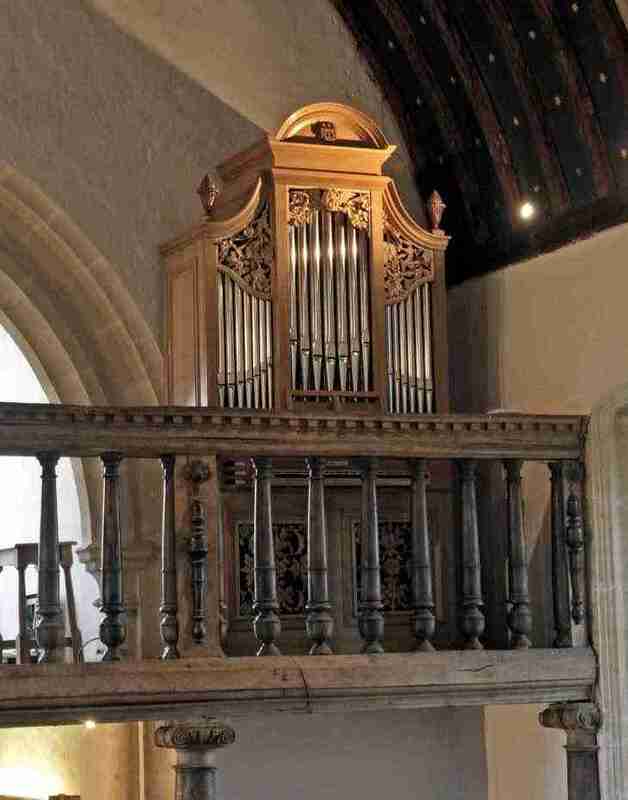 It is called the Uren Organ and was presented to Rycote Chapel by the Rycote Buildings Charitable Trust following a major donation from The Michael Uren Foundation. View the Specification of the Rycote Chapel Organ (completed 2007) and the pipe scales.